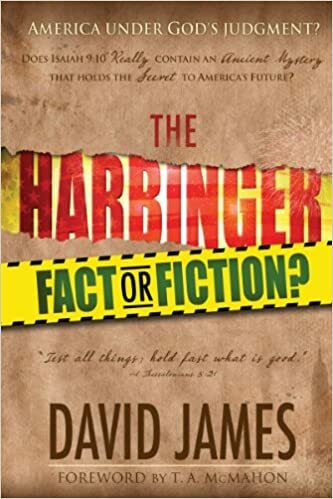 We now continue with our examination of The HARBINGER by Jonathan Cahn based on the book by David James: The HARBINGER: FACT OR FICTION. The idea that events and proclamations in Israel were mirrored in America’s own events and proclamations inevitably mean that they are in some mysterious way connected is fallacious. After all, there were plagues in Egypt, such as the immense and devastating swarms of locusts; yet there have likewise been locust plagues elsewhere in the world. Those plagues in Egypt were a result of God’s judgment upon that nation for refusing to let the children of Israel go. Does this necessarily mean that other nations were likewise under God’s judgment when they suffered such plagues? What distinguishes the one from the other is the fact that the judgment of Egypt was foretold in the Scriptures as a judgment sent from God; other locust plagues have not. If such a connection between Israel and America is a mystery revealed by God, then the one to whom this mystery was revealed would have to be considered a prophet. Yet was this mystery truly revealed by God to Cahn? Does he consider himself a prophet? Brannon House of Worldview Weekend asked Cahn about these questions as has Jimmy DeYoung. Howse further asked if Cahn believed that the office of prophet and apostle was valid today; Cahn was asked about the New Apostolic Reformation (NAR) Movement and if there were prophets and apostles in that movement. Cahn doesn’t claim for himself to be a prophet and he further states that he is “cautious” about others who claim to be prophets. He does say that the message he has given in The Harbinger is “prophetic” however. One must wonder how a book can be prophetic in nature and yet the author claims not to be a prophet? Others have given prophetic sermons or messages, but this is based solely on Scripture and not Scripture plus “mysteries revealed that have never been revealed before” by people with insight enough to perceive them. Cahn, while not claiming to be a prophet, nevertheless attributes this book as something that God gave him and further, implies that the writing and publishing of the book itself came about my God’s supernatural hand (“Lord, The Harbinger is Your message. I don’t want it to go forth by the ways of man. It’s Yours. 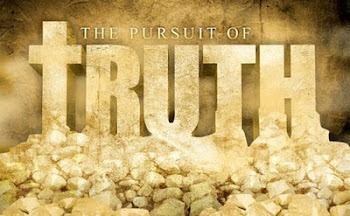 You get out the word Your way.” J. Cahn on Commandment Keepers; May 13, 2012). While on a plane trip he relates how a man sitting next to him prophesied over him, that he will publish a book (more than one) – and that God is about to do something big and it will change his life. Promotions for the book by Sid Roth’s (It’s Supernatural) and endorsements by Pat Robertson (700 Club) and Joseph Farah (WorldNetDaily) have all gone on record that this is a must read. Many others as well as promotional materials for the book have likewise endorsed it and have stated that it’s a prophetic message. “Cahn himself seems to believe that God has chosen him to reveal the hidden prophetic message of Isaiah to America (because this idea cannot be understood on the basis of the text alone).” When Sid Roth (from Its Supernatural) interviewed Jonathan Cahn, he identified him as a prophet, comparing him to David Wilkerson (whom Roth believes was a prophet). What’s important to note is that Cahn never corrects Roth on identifying him as one who has a prophetic message (i.e. prophet), while at the same time, never claiming to be a prophet (nor did Wilkerson). Both of them have had prophetic conviction of a coming tragedy, but whereas Cahn affirmed that 9/11 was the fulfillment of that prophecy, Wilkerson denied it. They can’t both be correct, so through which of these has God genuinely spoken through and who decides? Note: I, the author of this article, have received many blessings in newsletters and blog articles, as well as video (mostly seen on youtube) from David Wilkerson, but when he spoke with prophetic content on any issue, apart from the foundation of biblical revelation, I had to disregard such things and found it increasingly more difficult to receive from his ministry. If we were living during the Old Testament period, such people giving prophecies that didn’t come to pass would have been dealt quite harshly (Deut. 18:20-22; Wilkerson also referred to the church as “spiritual Zion” or “spiritual Israel” which is an incorrect appellation as Israel and Zion are terms that apply to the Jewish nation, and not the body of Christ). Today there exists false teachers in the church (just as there were false prophets in Israel) and these exert an influence equally detrimental to the spiritual health and well being of the church (2 Ptr. 2:1-2). 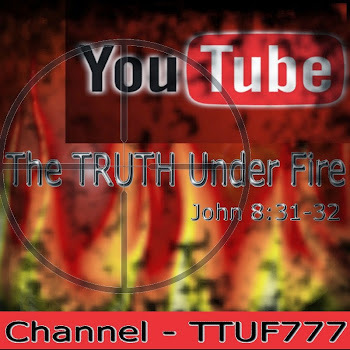 It is the expressed belief here at TTUF that the offices of apostle and prophet are closed due to the fact that no more content is required in the canon of Scripture as the Word itself declares (Rev. 22:19). However, there is a movement today that is gaining ground at an incredible rate known as the New Apostolic Reformation movement (NAR; TTUF will be doing an upcoming article on this movement) which claims ‘new revelation’ from God, even though such proclamations and prophetic declarations are not always entirely accurate (much less in compliance to the written Word!). These sort and those Charismatics associated with them, such as Sid Roth, Pat Robertson, Jim Bakker, Perry Stone (TBN) are among Cahn’s greatest promoters and extol his book as “brilliant” and “extraordinary”. What’s more is that Jonathan Cahn is given a platform among many NAR and related conferences, and more than merely incidentally, but consistently (such as a recent attendance of Chuck Pierce’s Celebrate Passover conference as one of the keynote speakers, and that also included Chuck Pierce himself, C. Peter Wagner, Barbara J. Yoder and Kyle Searcy). Cahn’s participation in these conferences and ministries would imply his endorsement of such (otherwise why would he participate?) and that is problematic and must be recognized in order to gain a more critical view of his book – which is published by Charisma House, the company built almost exclusively upon extreme charismatic books and whose magazine has regularly featured such people as Benny Hinn, John Arnott, Mike Bickle, T.D. Jakes, Perry Stone, Reinhard Bonnke, Joyce Meyer, Jim Bakker, Fred Price, Rodney Howard-Browne, Oral Roberts, Joseph Prince, among others. "These all point to the fact that Jonathan Cahn has personal and close ministry relationships with these false teachers who are promoting his book. Why he would try to distance himself from these men when speaking and writing to those concerned about the book is puzzling and actually seems rather disingenuous." As stated previously Cahn has used the vessel of a fictional book to convey certain supposedly factual evidences that America is under God’s judgment. This sort of story has been seen before, particularly where historical and true events are couched by the author as a backdrop with fictional characters and events taking place. [The PROPHET] “Seals like this one were used to mark important documents – edicts, decrees, communications by kings, rulers, princes, priests and scribes – in ancient times. The seal was the sign of authenticity. It would let you know that the message was real, from someone important, and to be taken seriously.” David James asks, “Do these seals really exist as an archeological find, or are they simply part of the fictional storyline? The answer is not clear in the book . . .” If they were real, it would lend some credibility to this work; if they are not then they would lend a false sense of credibility. Other literary elements of the story would seem to make it indiscernible to the reader to judge what is real and what is not, such as the dream of Solomon’s Temple which Kaplan had in which he saw King Solomon dedicating the Temple of God when he suddenly was transformed into George Washington who was being inaugurated as President . . . on the Temple Mount in Jerusalem, insinuating some sort of connection between the two men, and the two nations. Was this account in the story based on a real dream that someone had, or just another literary (and fictional) device used to convey something the author intended to reveal. Cahn asserts that on 9/11 the events that transpired on American soil was a sign that God had removed “His hedge of protection” and allowed America’s enemies to take down the World Trade Center and commenced the judgment of God on the nation. "To claim to know these things with the absolute certainty affirmed by the author is to claim insight into the very mind of God, including His specific purposes and plans for America in this generation. Although one might speculate and form opinions, these things cannot be known for sure unless God personally reveals them. So does Cahn believe that he has received this necessary revelation? If so, is he right? Is God using him as a prophet . . . given him special insight . . .?" [KAPLAN] “So if the ancient mystery is joined to America, then somehow 9/11 has to be linked to the words ‘We will rebuild’ (as quoted from Isaiah 9:10). Cahn asserts that a “hidden mystery” is found in Isaiah 9:10 and is a “driving force” in events here in America over the last ten years. The Prophet in the story links this passage of Scripture to the American economy through what he calls “the Isaiah effect” that came about in America once certain prominent leaders made the declaration of “we will rebuild”. God initiated different programs with people throughout Scripture such as Abraham and David, but also Adam, Eve, Noah and Moses. These are of course, covenants which the LORD God made when He approached these individuals with revelation and a plan of His own design. Some of these were conditional, others were unconditional, but they all had God as the Divine Initiator of them all. Cahn never states that America has replaced Israel in any way, or has become “a” or “the new Israel”. Yet he does seem to imply that there is a kind of “American Covenant” based upon the beliefs of the early settlers of the New World. Based on this, Cahn warns America that this nation also faces judgment. This will happen if America repeats Israel’s mistake (by breaking its covenant with God). While no where in his book is this idea expressed overtly, there are references that strongly suggest such is the case. Cahn seems to believe that the Founding Fathers were correct after all in viewing America as a new Israel (apparently, many of the Puritans may have seen a direct association between the “ten lost tribes of Israel” and the nations of Europe and as a result, America, the colony of Europe and specifically of England, was perceived as a kind of “Northern House of Israel” (British Israelism) and thereby claims legitimacy to the Abrahamic Covenant for Americans, members of the ‘house of Israel’. Cahn was interviewed by Glenn Beck on his show (June 26th and 27th; See a 12 min. video here). Listen to Glenn’s Beck words just after 2 minutes regarding a “covenant”. For more on Glenn Beck on America’s future, Israel’s past and the connections of “the ten lost tribes” (which Mormons subscribe to, believing that they are themselves either related to, or are directly descendant from) Israel to America, check out an earlier interview/discussion he had with others that hold the same views as Jonathan Cahn (whose name is mentioned) here. "Beck used the word ‘covenant’ and his viewers would have completely understood that he was talking about the covenant. Although it is true that Cahn uses the word ‘dedication’ instead, anyone (except perhaps someone who has read Cahn’s denials of believing in an American covenant) would have understood that Cahn and Beck were talking about exactly the same thing – two parallel nations, two parallel places of dedication, two parallel places of destruction, and two parallel covenants". "What it does state, is something quite different, namely, that America’s founders established the nation after the pattern of ancient Israel, did dedicate it to God, and believed that in this, they were in covenant with God. Whether or not and to what degree God could honor such a commitment or prayer is left an open question. To dogmatically say that He could not honor such a prayer or dedication would exceed scriptural parameters. . . . America has been blessed. But the idea that this necessitates such a covenant, or that God entered into such a covenant, is never claimed anywhere in the book." Yet as I have already stated, every covenant God ever made was always with Israel and no other nation, and each of these covenants were initiated by God Himself, never by the people that entered into covenant with Him. AMOS 3:7 7 Surely the Lord GOD will do nothing, but he revealeth his secret unto his servants the prophets. To reiterate, the biblical view of covenants is that they are always established by God and for Israel, never a Gentile nation (strangely enough, Cahn admitted this in a discussion group, and yet also speaks of such things favorably in other settings). This is not to say that if a nation repents when the pronouncement of God’s forthcoming judgment is revealed, God in His grace will forgive them, but this is not a covenant agreement, this is the astounding work of God’s grace in response to a people whose hearts are turned to Him in a solemn act of repentance. 1) Anglo-Israelism and an American covenant view are often inseperable. 2) The HARBINGER presents an American covenant view clearly enough for Anglo-Israelism proponents to embrace the book and appeal to it for support of that view. 3) Anglo-Israelism has been almost exclusively a defining characteristic of certain cults such as Mormonism and the Worldwide Church of God. 4) Although Cahn has denied holding to an American covenant view in some contexts, he has tacitly affirmed this view, or remained non-committal, or been ambiguous at the very least in other contexts. 5) A growing number of conservative evangelical theologians also interpret Cahn’s words as clearly promoting an American covenant view. In the next segment we will briefly go over David James’ last point in this chapter before we finally get to examine these Nine Harbingers as listed by Cahn in his intriguing novel and see what David James has to say about these mystical emblems of supposed revelatory knowledge from God. Until then, be prepared to meet the LORD in the AIR! KING JESUS RETURNS SOON! I have studied European history, especially the era covering the French Revolution, WWI, Bolshevik Revolution, and WWII. The historical writers were from among members of the British parliament, military officers, professors of history, European statesmen and diplomats, other writers who investigated the historical archives of many nations, etc. I left off this study, and, began a heart rending study of the history of the Americas. This particular study proved to be the most carefully documented work I have thus far read. Now, after having spent most of my spare time in pouring through all of these historical works, I have come to the conclusion that America never was a Christian nation, not from the establishment of its first English colony at Jamestown Virginia in 1607, up to this present time. Why do I say this? Let us take Thanksgiving Day, for instance. Does anyone know that, in 1637, the "Christian" colony at Massachusetts Bay was responsible for the massacre of 700 non hostile Pequot Indians who were sound asleep in the middle of the night? That this massacre was celebrated by the establishment of a "day of thanksgiving"? Does anyone know that America's settlers from Europe, saw the land in which the Indians lived as Canaan, and that God had given the heathen savages into their hands to slaughter, and their land for an inheritance? Our Thanksgiving Day of Celebration is the Native American Indian's national day of mourning. Does anyone find that interesting? From October 12, 1492 to the conclusion of the 17th century, all of the Americas were nothing but one great slaughtering ground. From Mexico south it was the catholic Spaniards who plundered the people. From Jamestown to California it was the European protestants who were the murdering conquistadors. Study history, people. Know the truth. Even the majority of the ancient peoples of Israel were a Godless people. Remember the trek from Kadesh! I don't buy Rabbi Cahn's American/Israel connection, nor do I believe for one minute in any dedication or covenant between God and America.